This World Rhino Day, we are calling on you to help us make our Rhino Quarantine and Management Centre a reality. As well as breeding and caring for rhinos at Monarto Zoo, we’re proud to be working with The Australian Rhino Project to bring up to thirty threatened Southern White Rhinos from South Africa to Monarto Zoo where they will be protected from poaching. 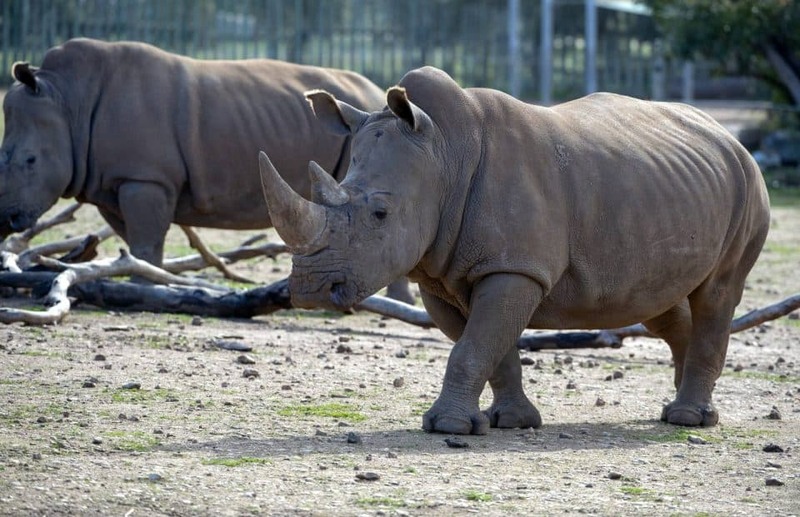 While we continue to work through complex biosecurity arrangements, a partnership with Orana Wildlife Park in Christchurch, New Zealand, will see Orana quarantine the rhinos destined for Australia. This coincides with the development of the 560-hectare site known as Wild Africa, where we have spent the past three years developing savannah and dense bush to resemble a piece of Africa in the heart of South Australia. We’re proud to have consistently bred Southern White Rhinos as part of an international breeding program working to secure the future of this critically endangered species. Now, with Southern White Rhino Umqali nearing the end of her sixth pregnancy, we are gearing up to welcome another calf due to be born in November. This exciting bundle of joy will mark 24-year-old Umqali’s sixth calf, and keepers have begun to baby-proof the rhino enclosure in preparation for the pitter-patter of not so little hooves. Rhinos were once widespread across Asia, Africa and even Europe, but today their situation is precarious making our ambitious plans more important than ever. Worth more than gold and cocaine on the illegal black market, rhino horn is incorrectly thought to have medicinal properties which has led to the species being killed at an alarming rate. Sadly, with the poaching rate of rhinos now exceeding the birth rate, experts are predicting rhinos will be extinct in the next ten years unless we act fast. As a conservation charity, it’s only with the support of passionate conservationists that we’ll be able to bring the rhino sanctuary to life. Please help us realise our vision at Monarto Zoo before another species disappears before our eyes.